Even now, they say ‘if he comes into custody’, why is not already in custody, with a guard on the hospital room door? A 33-year-old who officials say is in the country illegally may face criminal charges after crashing into a volunteer firefighter’s car in Lavon last week, killing him and two children. A Texas Department of Public Safety spokesman said a van driven by Margarito Quintero — who does not have a license — swerved into a northbound lane from a southbound lane on State Highway 78, striking fire Capt. Peter Hacking’s car, authorities said. Hacking and two of his children, 4-year-old Ellie and 22-month-old Grayson, died at the scene. Quintero, 33, and two passengers – were taken to Baylor Regional Medical Center at Plano with serious injuries. 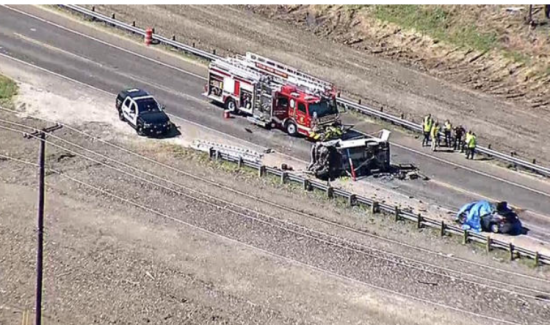 Quintero’s condition wasn’t known on Tuesday, but DPS spokesman Lonny Haschel said Tuesday that he could be charged with criminal negligent homicide by the time DPS completes its investigation of the crash. Quintero, a Mexican citizen, entered the U.S. illegally near Laredo in August 2006. He was arrested on criminal charges and deported in 2008, according to U.S. Immigration and Customs Enforcement. ICE has no record of encountering Quintero since he was deported. An immigration detainer will be placed on him if he enters law enforcement custody, ICE spokesman Carl Rusnok said.